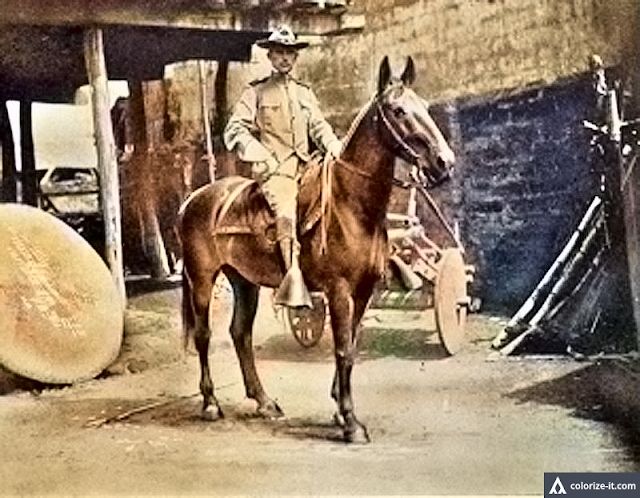 Lt. C. Rodman Jones atop his horse, Batangas 1902. The photographs contained in this post are taken from the public domain book “In Memoriam C. Rodman Jones,” by Charles Henry Jone and published in 1909 in Philadelphia. Charles Rodman Jones was a Philadelphia-born American soldier who was assigned to the Philippines during the Philippine-American War. 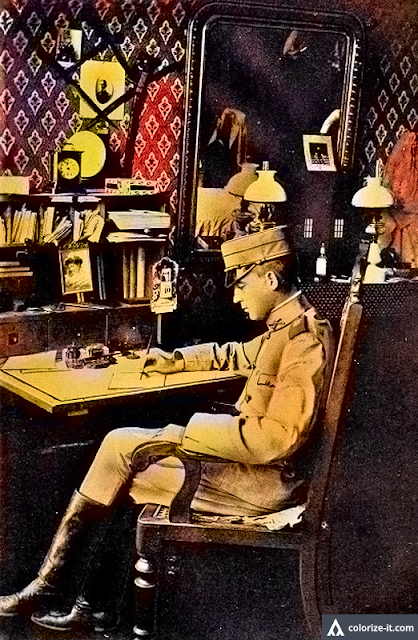 Among others, he was stationed at Nasugbu, Balayan, Taal in the province of Batangas. He was a Lieutenant serving under Company H of the 28th Infantry Regiment of the United States Volunteers. Lt. C. Rodman Jones in his quarters in Batangas 1902. Both pictures have been processed using graphic software to improve quality and then colorized courtesy of Algorithmia.